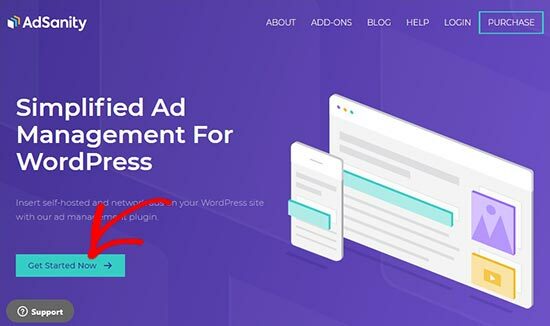 AdSanity is an excellent advertising management plugin for WordPress. It offers widgets, shortcodes, and template tags to easily display ads anywhere on your WordPress site. AdSanity comes with other powerful ad management features such as scheduling ads, performance reports, and more. They are offering WPBeginner users an exclusive 20% OFF discount on the purchase of AdSanity plugin when you use our AdSanity coupon code. How to Use AdSanity Coupon Code? WPBeginner’s exclusive AdSanity coupon code helps you get 20% OFF on their premium plans. All you have to do is follow our instructions below to properly redeem AdSanity coupon code, so you can get the best discount on AdSanity. First you need to visit the AdSanity website using our link on WPBeginner and click on the ‘Get Started Now’ button. 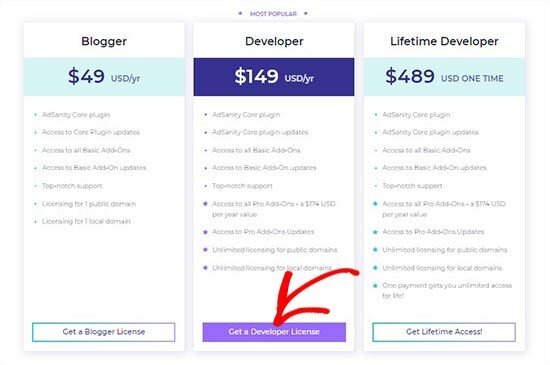 AdSanity offers blogger, developer, and lifetime access plans. From here, you need to select a plan and click on the ‘Get License’ button below it. Click on the ‘Apply’ button. It’ll update the price after discount. 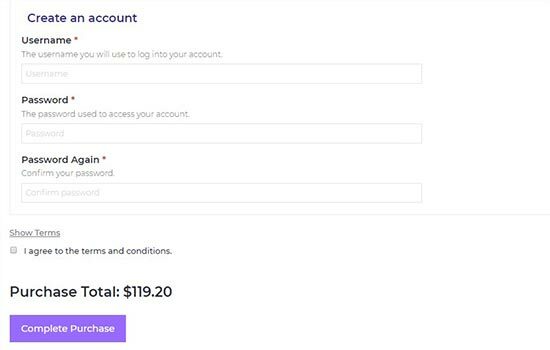 Simply scroll down to select a payment method, add your personal information, and click on the ‘Complete Purchase’ button to buy the AdSanity plugin. We hope you found our AdSanity coupon code to be helpful. At WPBeginner, we work hard to negotiate exclusive discounts for our users.